Making even small changes to your diet can lead to big results. Chili. See recipe link in article. 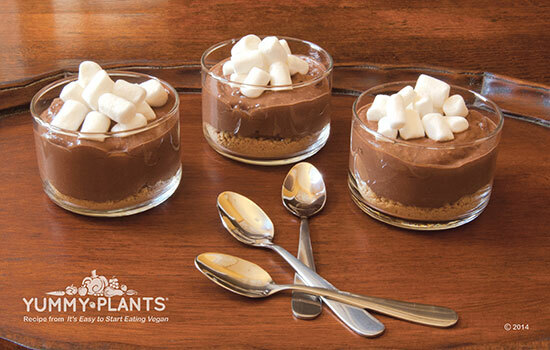 S'mores Pudding. See recipe link in article. No Chicken Salad. See recipe link in article. To embrace the vegan lifestyle means making choices with respect to diet, but the lifestyle can begin with simple choices that anyone can make. Alumna Rebecca Gilbert 97MBA “healed from chronic joint pain by switching to a vegan diet,” she says. Her book It’s Easy to Start Eating Vegan offers readers practical suggestions on adopting a healthier diet including easy egg and dairy substitutions, ideas to stock your vegan pantry, plant-based protein sources, tips for navigating social situations, sample meal plans, and tasty, easy-to-make basic recipes. To begin eating a plant-based diet, Gilbert recommends you “Stock your pantry with vegan versions of the foods you love. When you’re ready to make the switch, it will be a snap to prepare new versions of old favorites.” To simplify the process, an entire section in It’s Easy to Start Eating Vegan is dedicated to listing common brands, easy substitutions, and suggestions to stock your vegan pantry. 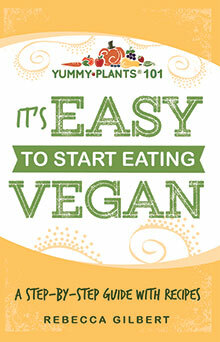 To learn more about the Vegan lifestyle, please visit the Yummy Plants website. 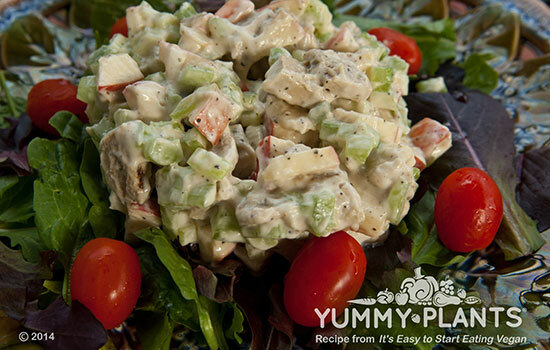 Click the links below to see recipes for the dishes featured at the top of this page. Bilal Sarwari 07Ox 09C teaches troubled teens to connect with nature and grow their own food. She's the Big "Cheese Maestro"
Choosing the perfect cheese plate is a labor of love for Sophie Slesinger 09C. With full flavor and less fat, Tru-Nut Powdered Peanut Butter provides a healthy option. Modern Jewish Food with "What Jew Wanna Eat"
"No matter your religion, you can enjoy Jewish food." Sharing time, energy, and spirit comes naturally to Emory Cares International Service Day volunteers. Airline food boring? Not anymore. Students make meaningful connections with alumni and friends that can last a lifetime. Award-winning restaurants and beverage destinations are all in the Emory family. Cake pops are the perfect sweet treat - handheld, colorful, and delicious! Green is the new color for hot sauce.